Om Puri, Alyy Khan, Mehwish Hayat et al. 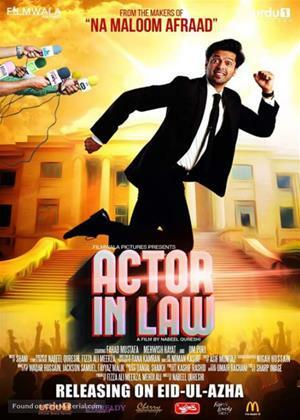 Fahad Mustafa stars as an up-and-coming lawyer who employs theatrics and over the top one liners in the courtroom. He aspires to become an actor, something which is met with disapproval from his father. His world is turned upside down when he is faced with a case that shakes the foundation of the country and threatens his career and family. Will he be able to use his theatricality and knowledge of the law to ensure justice? The film also fictionally portraits the celebrities in Pakistan such as Ayyan (model) who was recently arrested in a very publicized money laundering scandal and Mubashir Lucman, a famous news anchor.